Tank today and this sweet mount could be yours! Doh.. I already have it. Tired of sitting in the LFD queue for ages? Well Blizzard has a band-aid for this painful wait time problem. Call To Arms, check out the info at MMO-Champion and also check out Sprinks' post which is where the topic caught my eye. Basically CTA gives rewards as an incentive to get people to queue for dungeons, mainly tanks and healers. I mean when are we ever lacking DPS? I thought it HAD to be a late April Fools joke. The handy dandy LFD system will keep tabs on the the queue, once it gets past a certain wait time CTA will kick in, determining which role is the least represented, and offer a reward for filling it. 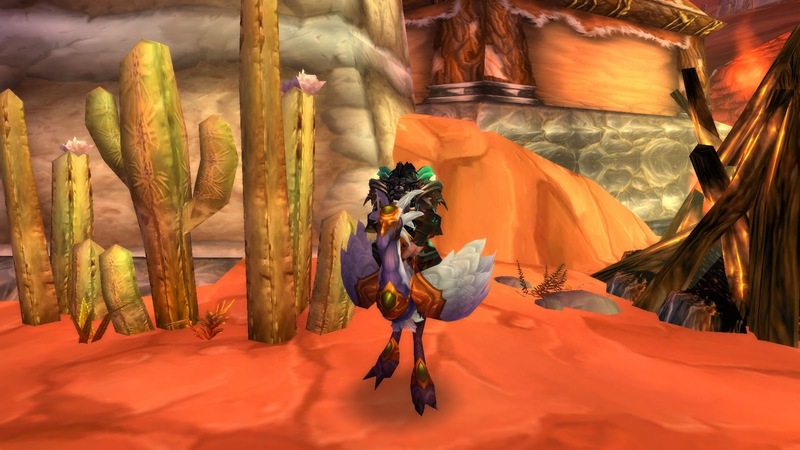 The rewards for filling these roles range from money and flasks to vanity pets and mounts. We all know that tanks and then healers will be the ones to benefit the most from this, mainly tanks. OMG where have all the tanks gone?!! I'll get to that in a bit. The DPS in the queue will benefit but not in the same way, the lacking roles will go above and beyond with a bonus. Is this fair? I suppose it all depends on how you look at it. But wait! You can't queue up with a buddy, you have to go at this alone. I think this is rather harsh. Queuing with at least one other person would add a little more incentive, in my eyes. What the rewards are not enough as it is?! I'm just not sure, only time will tell. I am glad to see that Blizzard is aware of the queue times and at least trying to do something, I gave up with my hunter on trying the LFD thing, last time I played. Is it enough incentive to get people to tank and heal more in LFD instances? Do we focus on guild runs or just LFD solo? There we run into a conflict of interest for this expansion. It seems such a contradiction to the theme Ghostcrawler was aiming at in the beginning of the expansion- Wow, Dungeons are hard ... Get a guild! Focusing on guild runs and I quote 'Ultimately, we don't want to give undergeared or unorganized groups a near guaranteed chance of success'... And they wonder why nobody is queuing?! The idea was to take the pressure off healers and tanks, leaving little room for DPS to cause error, think before you act as there are consequences (Oh noes...whoopty doo dah! Thus achieving in scaring off all the tanks and healers), but in reality it actually caused more pressure and people don't want to deal with it. And maybe hose tanks and healers may be just too busy doing rep runs with their guilds, you know, since it requires so many guild members to group. Maybe they like it better, since it was pushed so hard on us. Maybe they would rather go after those shiny rewards instead? I say give us normal instances at 85 and heroics or heroics which are much like LK heroics and add in Heroic x2. Everyone is happy. Casual fun with rewards and hard mode for those who claim they love these hard dungeons. I think the implementation of this CTA system speaks multitudes about state of end game heroics. Alas nobody ever asked me, so onward with the carrot on a stick! I'll have to check out the post, but at first glance I'm not liking it. Why? There's already people abusing the LFG by hopping into the tank and Heals role when they have no business being there, this seems like it will exacerbate the situation. Yesterday I queued up as DPS, since I wanted to take a small break from healing, well our Pally 'tank' was tanking in a mix of healing and tanking gear. Naturally she couldn't hold threat at all. I felt sorry for our healer, first time healing and they were paired up with someone who selfishly selected tanking when they didn't have the gear. I whispered our healer and told them not to worry about myself, since I could heal myself. I also told them I would heal others too. They were grateful. For some reason we weren't able to kick the tank, until about 15 minutes into the dungeon, after that time she got the boot. Even I, knowing full well what can go wrong in a group, perked my ears when I read the rewards. The gold alone, assuming minimal wipes, would be worth it. A mount would be even better. "You can't queue up with a buddy, you have to go at this *alone. *"
...and if they changed all that stuff, then the game would be perfect. To answer your question about the lack of tanks: Stupid. Arrogant. Painfully ignorant. Dee Pee Ess. I still have a post waiting to be finished about how badly I think Blizz is handling things, specifically the blog post GC put up dealing with tanks and making hit rating effect the chance to block an attack. (Genius idea, morons.) As our blanket was just put up on etsy recently, I'd rather not send out a wave of negative energy right after, so I'll just let that post bake n' stew for awhile. We had a bad tank last night and I wondered if he was just trying to get a fast queue. He actually left halfway through the dungeon and our poor dps mainly tanked the mobs anyhow. You don't mind if I call you that do you? Tee Hee. At first I thought, similar to you- Oh the Mr. Can tank (dust off the warrior) and I heal with this new CTA thing... Then my bubble was burst when I heard it had to be solo. They want to feed us to the wolves! Oh yeah, silly stats being added to affect this or that- Out of the blue. It's one of my pet peeves. I liked how they removed and combined a lot of them but still some classes have it messy compared to others. I hated, hated, hated SP and +healing being separate. I hope some of the changes last. It just starts getting so stupidly muddled sometimes. Yeah, I'm not sure what it is. I applaud them for trying to fix a problem but I don't know how well this will fly.